The Dallas area is rapidly growing. As the population grows, so does the number of budding couples. One of the first steps after getting engaged is choosing the perfect wedding venue. That venue that you can see yourself standing at the altar with your significant other. That moment you feel the rush of emotions and that fleeting thought that all of the work leading up to the day was simply worth it. One of the first tasks when choosing the perfect venue is touring! A typical bride and groom tour 5-7 venues before placing the deposit on 'The One'. How big is the capacity? The list can go on. When you have chosen to tour though, you start finding small details that attach you to that specific venue. For example, they offer a sand ceremony and you were proposed to on a beach. That is a near and dear memory held close and of course, you would want to be nostalgic on your big day as well. Maybe you've known for awhile some of these special details. For instance, you would prefer a North Texas Event Center that offers ceremonies and receptions. Or maybe you just prefer overall the Dallas Forth Worth area, because of accessibility purposes. It could be any Dallas wedding venues that offer a banquet hall as well as indoor and outdoor spaces. The point is, if you know what you prefer, it makes the decision of choosing an affordable wedding venue that much easier! 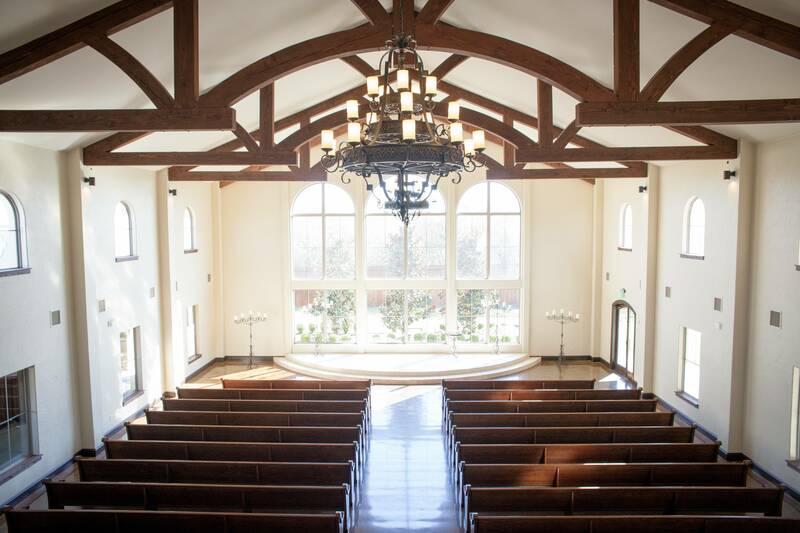 The seamless woodwork of the beams in the chapel is one reason so many brides are attracted to the Chapel. The beams flawlessly match the pews in such a manner that when a beautiful white gown floats down the aisle, it's hard not to take notice. The iron work in the chandeliers also stand out and give the chapel a romantic touch. Apart from the amenities held at the Chapel, this venue offers a staff that is extremely well organized and helpful. 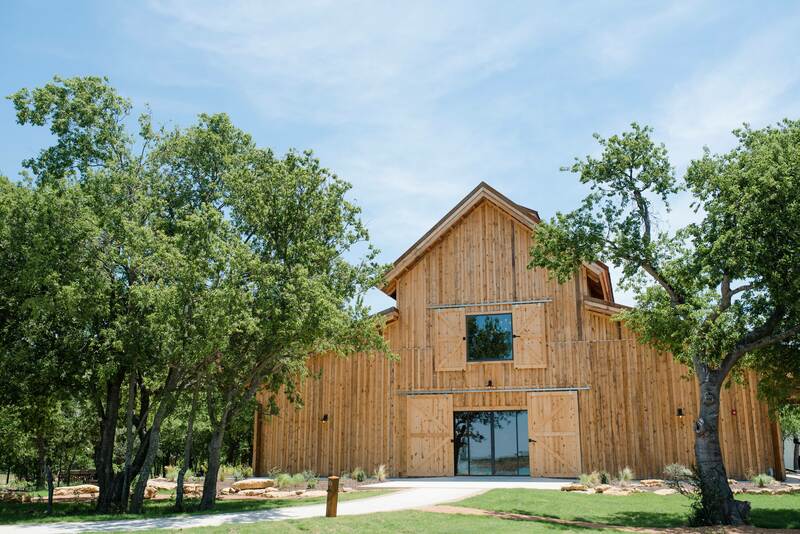 It's the sweetest Texas wedding venue! This venue actually has 2 separate venues sitting on the property: The Ranch & The Lodge. One of our favorite details of the Springs is that they have an in-house sound system for the ceremony, which is lakeside. Such a romantic outdoor wedding site! So double plus. The Ranch is quaint and charming. It offers a stage for the head table or entertainment as well as plenty of room for guests and food. 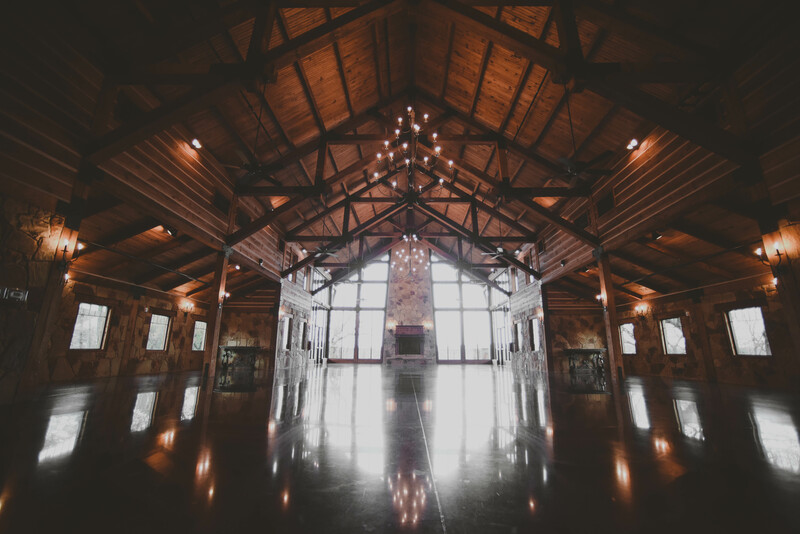 The Lodge is quite larger with vaulted ceilings, perfect for a wedding reception. Gorgeous, intricate chandeliers hang from the beams creating a special ambiance. The stonework is near flawless and not to mention, floor to ceiling windows on the furthest wall that is nestled in between a floor to ceiling fireplace. If you are interested in a Rustic Classic, this is your go to! Sitting in Arlington, Texas. 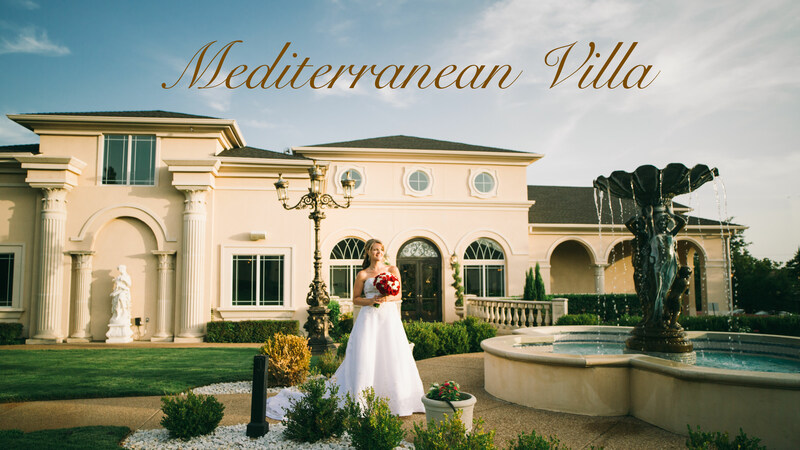 One of the first things to point out is that if you love food, you will most certainly love that Mediterranean Villa offers catering in-house. Their food is raved by all couples who choose to spend their greatest night at the Villa. This venue stays true to its name: It has a touch of Italian. It showcases everything from columns to statues. It's landscaping is very articulate. The ballrooms are grand, with the ceremony space being even more grand. The crystal chandelier ties the entire room together. If you and your fiance are wanting a formal night, this is the venue for you! 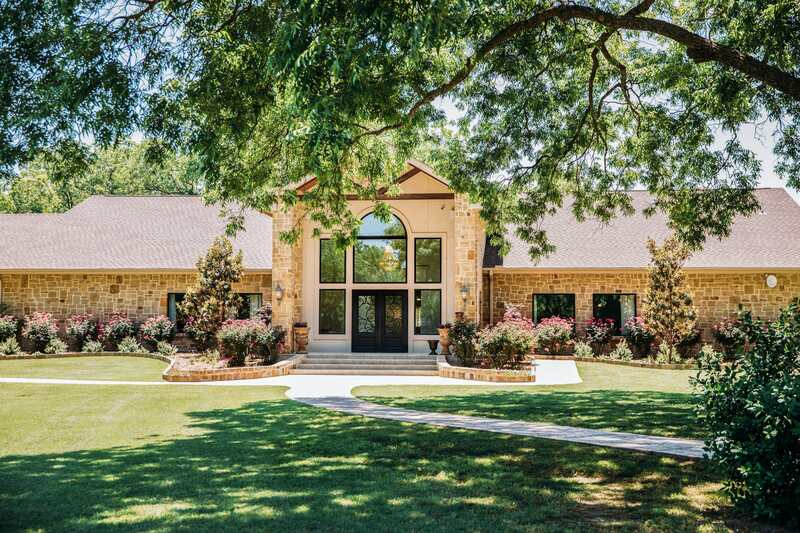 This Retreat sits on the outskirts of Forth Worths outskirts in Azle: near Eagle Mountain Lake. The Orchard offers 15 stunning cabins and even a 6 bedroom lodge on the property! With multiple options for ceremony location and reception locations, it's no wonder it's so popular. It's easy to say that this venue can be described as Modern Verdant. Everything is so well articulated, from the wrought iron chandeliers, to the double sided fireplaces. Not to mention, the fountain by the Pergola (1 location for the ceremony) is breathtaking. Definitely worth a tour. In the heart of the country, it sits just outside of Denton. The barn itself is breathtaking. It has two stories with vaulted ceilings and beams to tie it all together. The bistro lights leave a romantic effect as well as the contrast of the joints. In all seasons, this is a fan favorite. The woodwork is so precise that you you can't help but be in awe of its beauty. It's very symmetrical and uniformed. Chapel Creek also offers The Chapel, The Lawn, and the Horseshoe Point. It leaves you leaving with a homey feeling that's hard to inflict otherwise. Not to mention, it's family owned! These venues aren't only chosen for their beauty, but because they genuinely care about their couples. Some brides prefer country clubs, while others prefer barns. They could have eloped and now they're only looking at reception venues. The decision is fully yours and what is your aesthetic. They each are involved in the planning and all have a part in creating the perfect day. It's a great day to choose your venue!